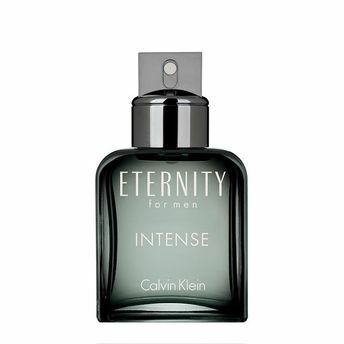 A modern fragrance creation that unfolds and intensifies with time.Eternity Intense rediscovers and deepens the passion that sparked the epic love story at the heart of the Eternity fragrance.Calvin Klein Eternity Intense Eau de Toilette Spray for Men opens with a spicy yet refreshingly modern twist of Bergamot that is enticing and captivating. The classic fragrance intensifies the opulent woody composition of the originals, with energetic aquatic and additional floral notes. Iris gives it elegance and power, laid on the warm base of Cashmere Wood. Explore the entire range of Perfumes (EDT & EDP) available on Nykaa. Shop more Calvin Klein products here.You can browse through the complete world of Calvin Klein Perfumes (EDT & EDP) .Alternatively, you can also find many more products from the Calvin Klein Eternity Intense Eau De Toilette For Men range.